The OnePlus 1000mAh power bank is now available in India. Earlier we covered the Huawei Honor 13000 mAh Power Bank launched in India and Xiaomi Mi Power banks are back on Flipkart. You can see that the OnePlus power bank, is costlier than both the Mi power bank, and the Huawei power bank. The 10,000 mAh Mi power bank, will cost you Rs.999 while the Oneplus power bank, which has the same capacity, will cost you Rs. 1,399. For the same price, you can get a Huawei power bank with a capacity of 13000mAh, which has an additional 3000mAh. (provides an extra full charge for your phone). But Remember Huawei product is having Charging Life Cycles of 300 Times. If you see the review of the product on Amazon India , most of the users are complaining about the price of the product. So what you think about these power banks ? Oneplus India blog says that they will be launching the Bamboo Style Swap Cover in India this month. The Bamboo Style Swap Cover is scheduled to be launched this month across India. Stay tuned for the exact launch date which will be notified to fans and consumers alike on the OnePlus India Blog and our Social Media channels. OnePlus 10,000mAh powerbank is available on Amazon India now. 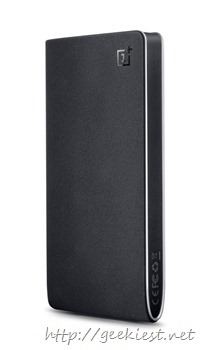 Lenovo Powerbank with 13000mAh capacity i available on Amazon India.